A parent’s biggest fear is to bury their child. That’s exactly what Richard Pringle had to do after his three-year-old son died. He is now encouraging parent’s to “cherish the simplest of moments” with their kids. 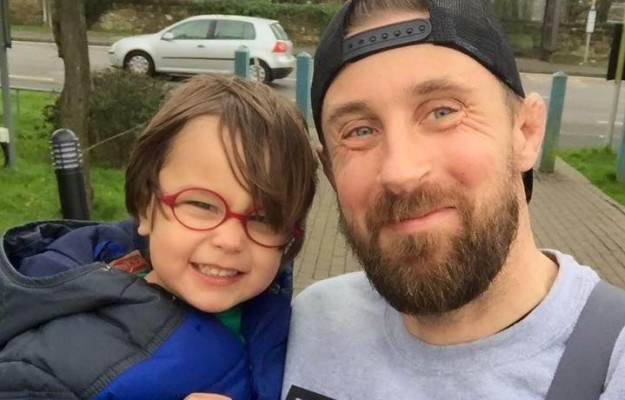 The dad-of-three, from East Sussex, England, wrote a heartbreaking post on Facebook to marked a year since his son’s passing. "It was the anniversary of Hughie's death last weekend, and even though we are completely devastated by what happened, we always celebrate him, and what he brought to us in the three years he was with us,” Richard told the Sun. Hughie died suddenly from a brain haemorrhage in August last year, which left his family reeling. "There was only a 5% chance of a bleed but unfortunately that 5% chance happened last year and he didn't survive,” says Richard. He described his son as being a “soft, gentle, caring and lovable” little boy, who would certainly liven things up at home. "In three short years he left us with a lifetime of the most incredible memories,” he says. In his emotional post, Richard wrote down some vital lessons the tragedy has taught him in hope other parents would never take their little ones for granted. 2. You always have time. Stop what you're doing and play, even if it's just for a minute. Nothing's that important that it can't wait. 4. Don't spend money, spend time. You think what you spend matters? It doesn't. What you do matters. Jump in puddles, go for walks. Swim in the sea, build a camp and have fun. That's all they want. I can't remember what we bought Hughie I can only remember what we did. 6.Cherish the simplest of things. Night times, bedtimes, reading stories. Dinners together. Lazy Sundays. Cherish the simplest of times. They are what I miss the most. Don't let those special times pass you by unnoticed. 7. Always kiss those you love goodbye and if you forget, go back and kiss them. You never know if it's the last time you'll get the chance. 8. Make boring things fun. Shopping trips, car journeys, walking to the shops. Be silly, tell jokes, laugh, smile and enjoy yourselves. They're only chores if you treat them like that. Life is too short not to have fun. 9. Keep a journal. Write down everything your little ones do that lights up your world. The funny things they say, the cute things they do. We only started doing this after we lost Hughie. We wanted to remember everything. Now we do it for Hettie and we will for Hennie too. You'll have these memories written down forever and when you're older you can look back and cherish every moment. 10. If you have your children with you – to kiss goodnight, to have breakfast with, to walk to school, to take to university, to watch getting married – you are blessed. Never ever forget that. Richard’s post clearly struck a chord – it has been liked more than 4 000 times and has been shared by over 1 000 people.